The Namibia XV, who came off a 64-8 loss against Argentina U20, gave the Junior Boks a harder match than the score line portrayed on a wet and muddy field at the Tygerberg Rugby Club on Saturday. 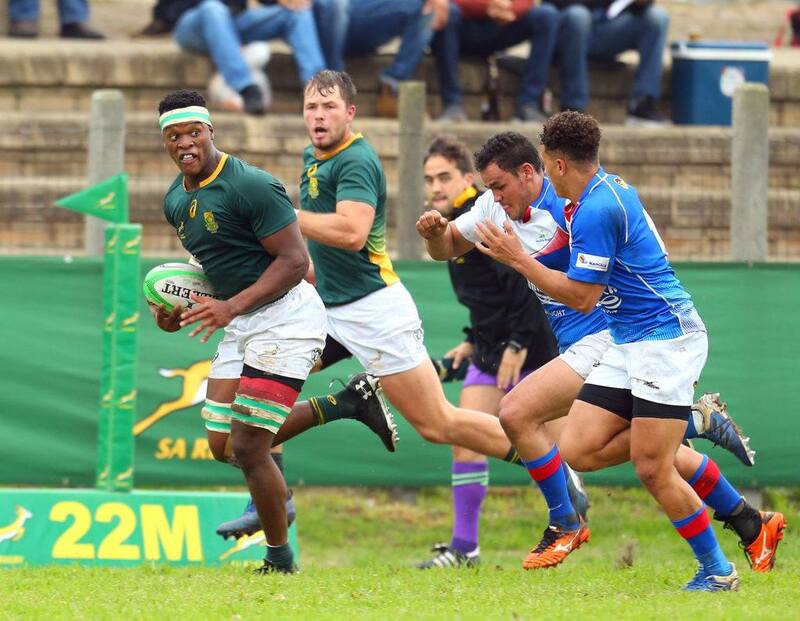 The Junior Springboks produced a powerful second-half showing to hammer the Namibian XV 50 – 8 in the U20 International Series match in Cape Town. The Namibians took an initial lead through a Curwin Loubscher penalty, but were pinned back and the Junior Boks scored through a try from Richardson. However, just when it looked like the Junior Boks were settling into the match, Namibia wing PJ Walters intercepted a pass to score and make it 8 – 7. The Junior Boks hit back again as Mollentze finished off a break from flyhalf David Coetzer to make it 14 – 7 at half-time. The young South Africans carried the momentum into the second half as another linebreak from Coetzer saw Nohamba go over for a try before Mollentze muscled over for his second of the match. After holding out against another Namibian onslaught, the Junior Boks extended their lead through a try from wing Sebastiaan Jobb. Mollentze turned provider as he made an incredible break from inside his own half to help set up a try that was finished off by Celimpilo Gumede. The No 8 and Mollentze combined again to good effect as some good work from the duo saw Jobb go over for his brace. Gumede completed the rout when he sniped around the back of a ruck to score his second. Junior Springboks – Tries: Dylan Richardson, James Mollentze (2), Sanele Nohamba, Sebastiaan Jobb (2), Celimpilo Gumede (2). 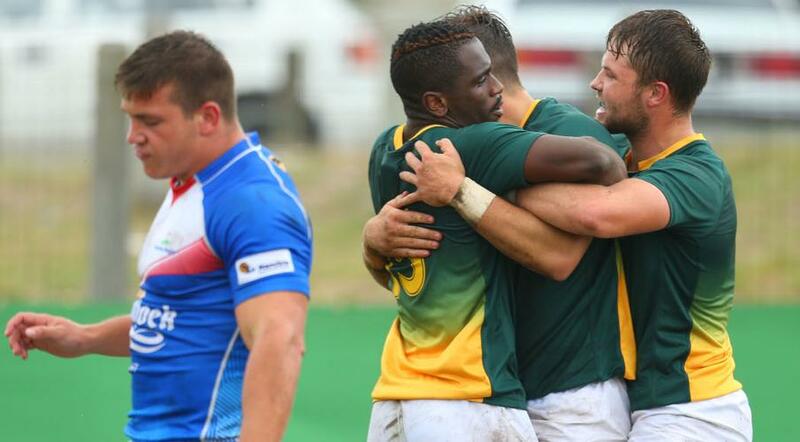 Conversions: David Coetzer (3), Mollentze (2). 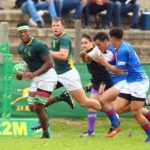 Namibia XV – Try: PJ Walters. Penalty: Curwin Loubscher.